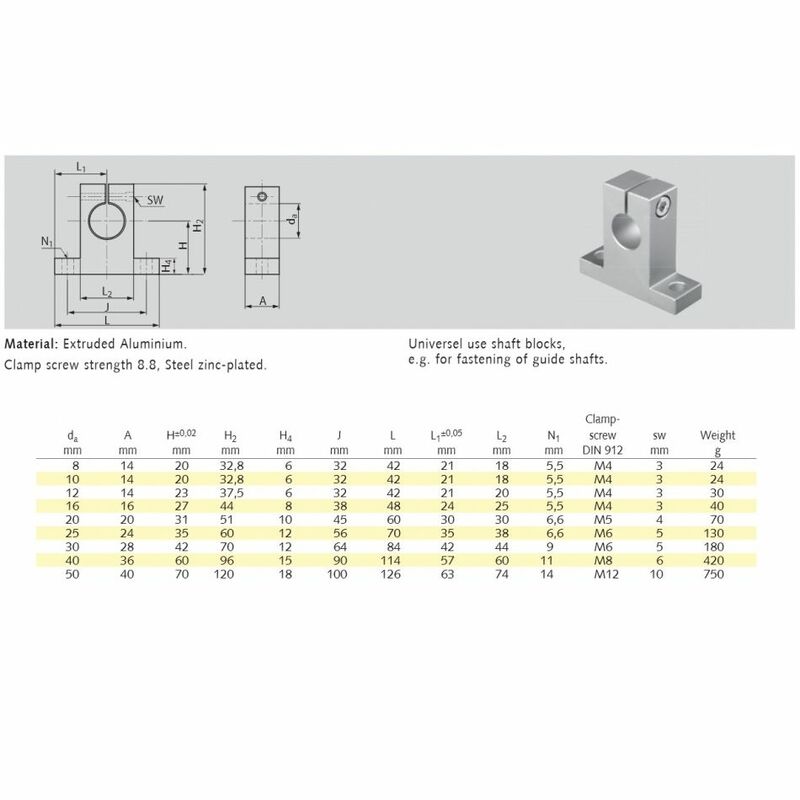 (SK12) Shaft Supports 12mm | DamenCNC B.V. These shaft supports are used for mounting ground shafts. 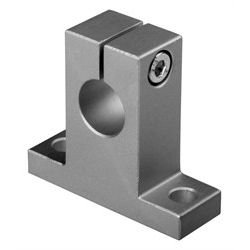 These are often used in the more simpel CNC machine, or other automation applications. 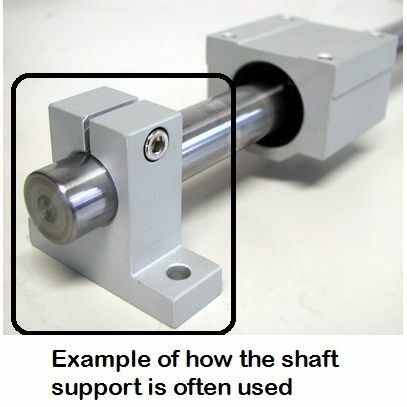 This type of shaft and shaft support is not made for heavy loading. If you need heavy loading or high rigidity, we advise to use HIWIN guides. The nice thing about this low cost shaft support and the shafts them self is that they are less critical in alignment than HIWIN or other linear guides. This is because they are more flexible.